Kneuterdijk Palace ('Paleis Kneuterdijk') is one of the unknown gems in the historic city centre of The Hague. The palace between Court Pond and Lange Voorhout was built in 1716 in the Louis XIV style by architect Daniel Marot for Count Johan Hendrik of Wassenaer-Obdam. In 1816 King William I purchased Kneuterdijk Palace for his son, the Prince of Orange, later King William II and his Russian wife Anna Paulowna. It is now home to the Council of State. William II and Anna Pavlovna lived at Kneuterdijk Palace until William was sworn in as King on 28 November 1840. William II added several buildings designed in the English Tudor style, of which only the so-called Gothic Hall ('Gotische Zaal') has survived. In the 1930s the place was occasionally used by Princess Juliana. The city palace remained in royal possession until Queen Wilhelmina sold it in 1937. After World War II Dutch war criminals were tried in the former ballroom, some of whom were sentenced to death. Since restoration work was completed in 2001 the palace has been in use by the Netherlands Council of State (Raad van State). The Council of State consists of members of the royal family and Crown-appointed members generally having political, commercial, diplomatic or military experience. The Council of State must be consulted by the cabinet on proposed legislation before a law is submitted to parliament. The Council of State also serves as the highest court of appeal in administrative matters. Built in the mid 19th century, at the request of King William II to house his painting collection, the Gothic Hall ('Gotische Zaal') today forms part of the Council of State ('Raad van State') in conjunction with Palace Kneuterdijk. The Bätz organ is one of the most important aspects in the hall and recitals often take place. Kneuterdijk Palace is easy to reach by car, tram and bike. There are plenty of parking opportunities in the vicinity. 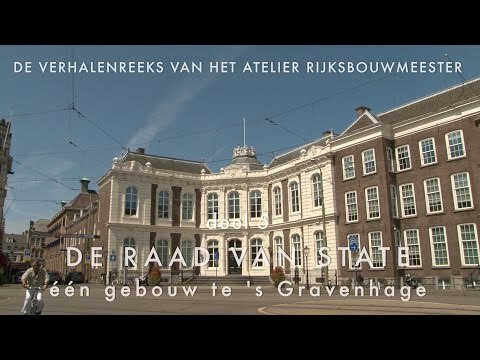 The nearest parking garages are Interparking Museumkwartier, Noordeinde parking in Heulstraat, Tournooiveld parking and Parkstraat parking garage in Oranjestraat. Kneuterdijk is a fifteen-minute walk from Central Station. A number of trams stop at the Kneuterdijk stop. Kneuterdijk Palace is not publicly accessible, but there are regular tours of the building and music performances in the Gothic Hall.